Bad news for 5 teams in the NL Central… Great news for 1. The Brewers’ handicap has now been erased and the NL Central race is now a fair fight. The NL Central’s Runs Per Game Average is going to drop by at least 7 runs per game due to this news. The Brewers have announced they are releasing the greatest pitcher in baseball (for their opponents to face). 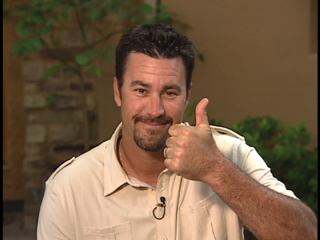 Jeff “Soup” Suppan was handed his train ticket and shown the I-94 East Exit. Next stop, 1060 West Addison Street. Ok maybe not Addison Street, but anywhere is better than Milwaukee. And I guarantee every Brewer fan is rejoicing (see the first comment here). Can you believe this was a Boston Red Sox 2nd round draft pick in 1993 (49th overall). Ok so maybe he wasn’t always as bad as he was for the Brewers… Or was he. He made his professional debut in 1995 with the Bo-sox and ended the year with (drum roll please), a 5.96ERA with a 1.50 Whip. Alright, let’s cut him some slack that was through only 22 2/3 IP. His first full season came in 1997 where he started 22 games pitched over 112 innings and ended with an incredible 5.69ERA with a 1.57WHIP. Take a look at the chart below and he had only 2… Two… EF’n TWO!! !… years with a sub 4.00ERA and 1 season with a sub 1.30WHIP. I would rather keep Suppan for the rest of the season and fire the guy who even suggested signing him for 4 years and $42 million, the highest single season salary and biggest total dollars salary until Braun’s signing. Does anyone see a trend here… I’ll help you out, the Brewers signed him in 2007. The trend of those two lines are not going to help the Brewers and I’m surprised Soup even got the ball in the 4th game of the 2008 playoffs. Melvin gave an interview on the release of Suppan and was asked if he regretted the signing. His response was that he rattled off a bunch of big names all signed in 2007 (Zito, Meche, Padilla, Jason Schmidt, Marquis, etc) and how all have not panned out. The one exception he made was the Cubs Ted Lilly signing. Still I would rather have a previous Cy Young winner but his $126 million over 7years was a bit steeper than Soup’s asking price. I wish we could have flipped the signings and the Brew Crew get Lilly for $2 million less and Suppan would be in Cubs land where he belongs. Soup at least knew he wasn’t helping the team. Enough ranting and raving, the soup nazi has spoke and said “No Soup For You, Milwaukee”. Time to focus on the MLB draft which started tonight. The Brewers signed Dylan Covey, a RHP from California. Dylan responded by saying “I don’t think I even know how to spell Milwaukee”. Great…. At least they responded to the Suppan dismissal quickly. Look for Covey to be on a mound near you soon Brewer fans.